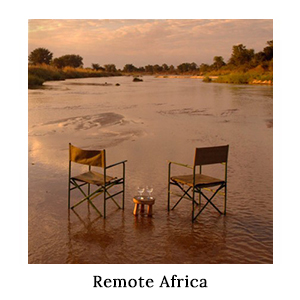 Arguably the most authentic kind of safari, few activities are as exciting and sincere as a guided walk through the wild African bush. 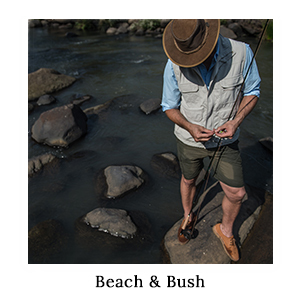 At a steady, natural pace, you are given a different perspective on the environment around you: the smells, the colours, the subtle sounds – an intimate, personal close-up on the natural world. 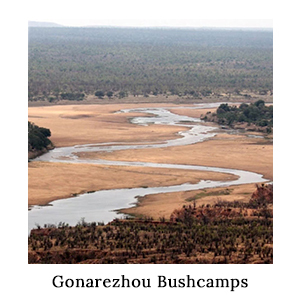 “One never knows what you’re going to find around the next corner, gorge, gully, ravine, or bush,” says Anthony Kaschula from Gonarezhou Bushcamps when asked what makes walking in the bush so special to him. 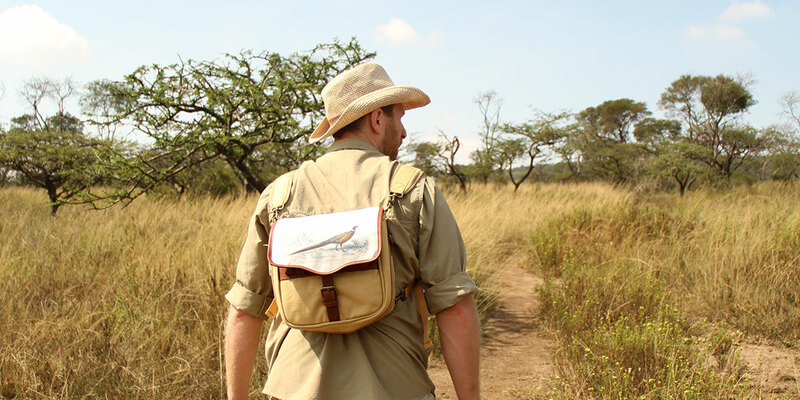 “The ground underfoot is our daily newspaper on which each animal that has passed has left its signature.” For those looking to be active on their African travels, the combination of vulnerability and adrenaline as you stand and watch Africa's wildlife on a walking safari is a powerful and unforgettable feeling. 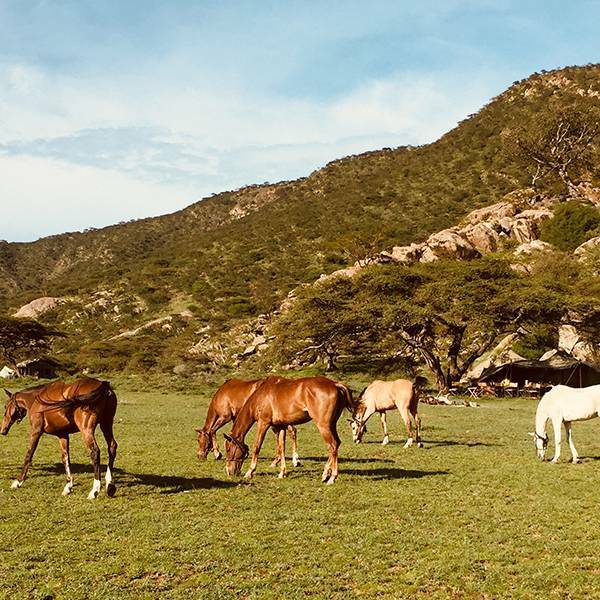 From patterned messages of prints on the ground to the twitch of an ear or flick of the tail in the distance, your wildlife sightings stand to be some of the most memorable. 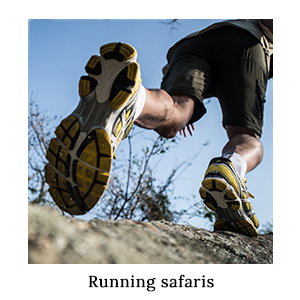 Part of what makes a walking safari so special is immersing yourself so fully in your surroundings – knowing that they could hold great tusked beasts or the pointed eyes of predators. 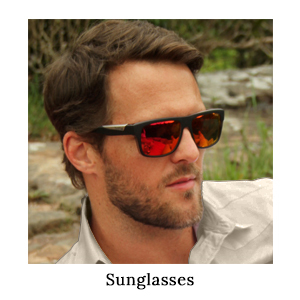 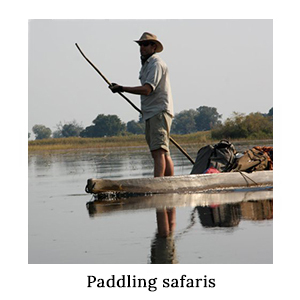 “It sharpens one’s senses,” said John Coppinger of Remote Africa in the Luangwa. 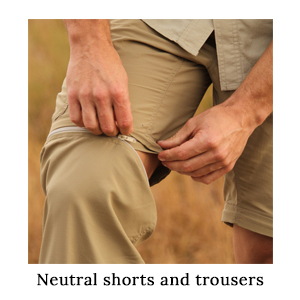 “The subtle signs and minutiae of the bush, not to mention behaviour of dangerous game, become a lot more interesting, important, and enjoyable.” To walk somewhere wild, to traverse land unfettered by roads or paths or human interference, is to pay homage to our innate sense of curiosity and to experience the world in the most natural way possible – on foot. 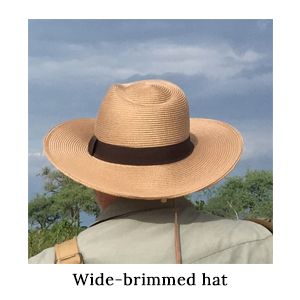 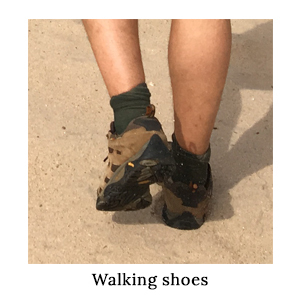 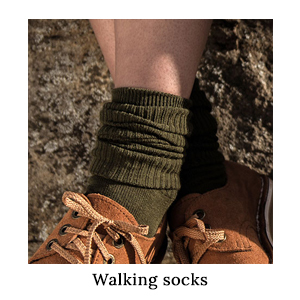 For Anthony Kaschula, a comfortable day pack is one of the essentials, and John Coppinger recommends gaiters to avoid tsetse bites on a walking safari. 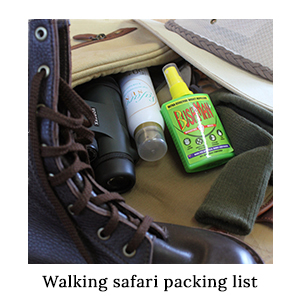 We combined their expert advice with our packing know-how to come up with the following list. 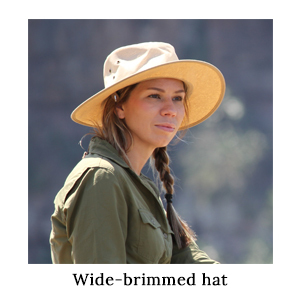 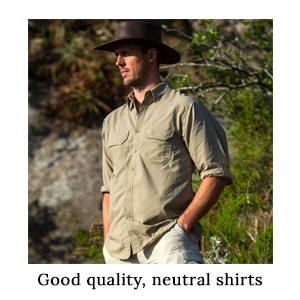 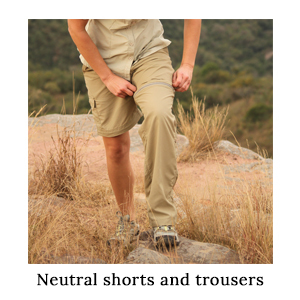 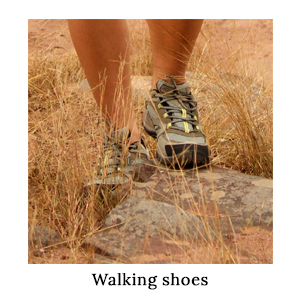 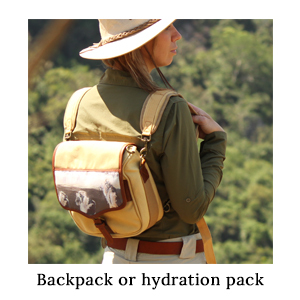 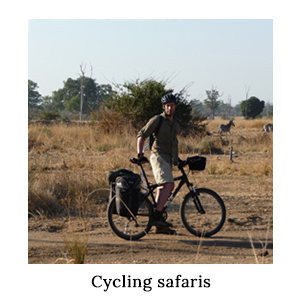 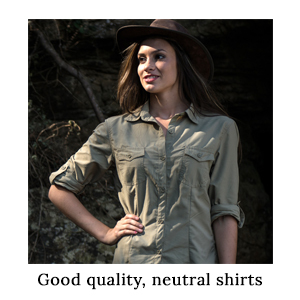 Click on the images below to shop the walking safari packing essentials and click here for a comprehensive safari packing list. 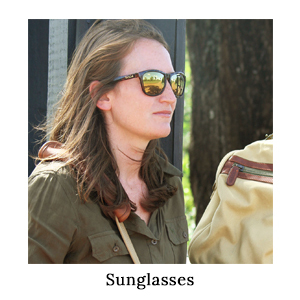 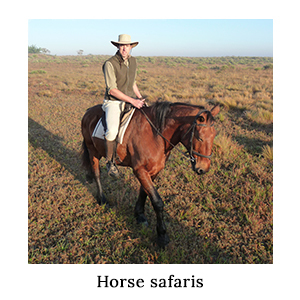 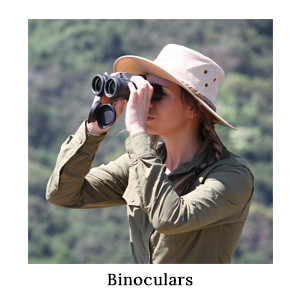 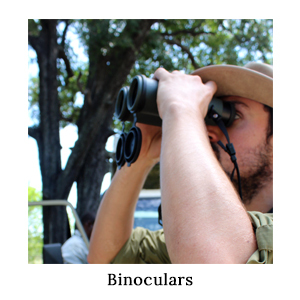 Anthony Kaschula of Gonarezhou Bush Camp recommends packing Swarovski binoculars for a walking safari and John Coppinger from Remote Africa says comfortable, strong footwear is essential for exploring on foot. 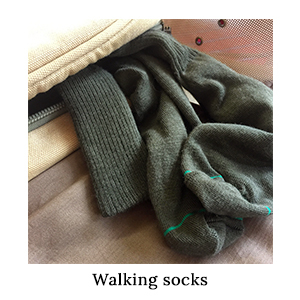 We combined their experience with our packing knowledge to come up with the following list. 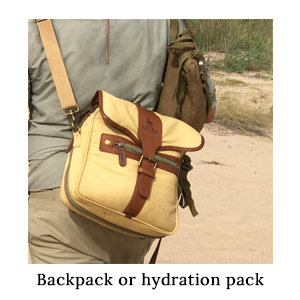 Click on the images below to shop the walking safari packing essentials and click here for a comprehensive safari packing list. 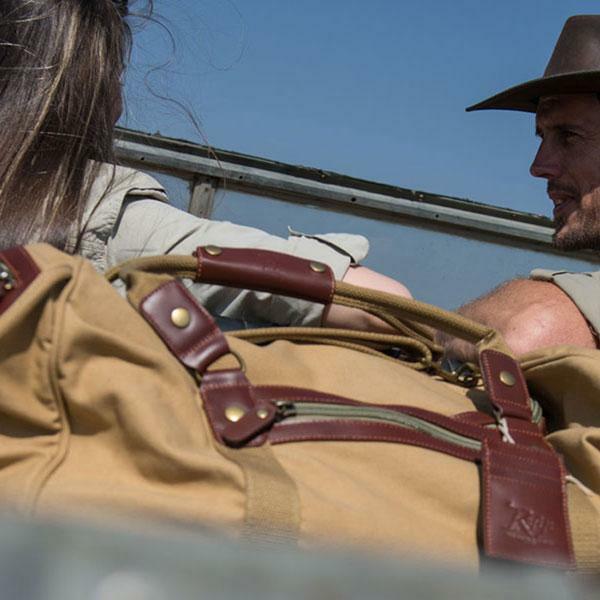 Plan your next safari by exploring the different active safari options below and get expert advice on what to pack to get the most out of every experience.